The Tokaj Hétszőlő estate, known for its unique wines and rich history, is situated in the heart of Tokaj-Hegyalja, on the southern slopes of Mount Tokaj. ln 1502, the Garai family assembled seven parcels of land which became the Tokaj Hétszőlő estate. Later, it was acquired by a series of prestigious owners, includíng Gáspár Károli (translator of the Bible), followed by Gábor Bethlen, Prince of Transylvania, the Rákóczi family, and finally the royal Habsburg family. Between the two World Wars, the land was entirely replanted to establish an exceptional domain, But the property deteriorated in the 1950s. These were black years for this yellow diamond. ln 1991, the estate was rediscovered by the French company Grands Millésimes de France and underwent a renaissance. The vineyards, chai and cellar were modernized and the domain was expanded with the acquisition of the prestigious Rákóczi cellar and the Rákóczi-Dessewffy castle. ln 2009, Michel Reybier became the new owner of this historic winery, which joins the list of exceptional estates in the Michel Reybier collection: Chateau Cos d'Estournel producing a Saint-Estéphe Grand Cru Classé and the Médoc AOC Chateau Marbuzet and Goulée vineyards. 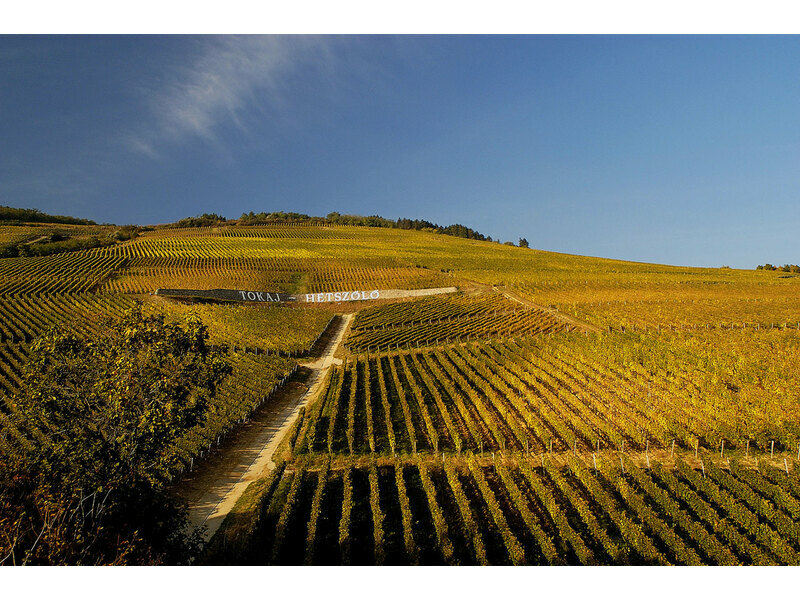 The Hétszőlő and Nagyszőlő vineyards have been classified as premier growing areas since 1772. Sitting on volcanic rock blanketed with a thick layer of loess, the vineyards cover 55 hectares of the south-facing hillside. The confluence of the Tisza and Bodrog rivers creates an especially favourable climate for the development of Botrytis cinerea, which induces the highly-prized "noble rot". We use organic methods to preserve our soil and care for our vineyards. The majority of vines are the Furmint variety (73%), with lesser amounts of Hárslevelű (18%), Kövérszőlő (5%) and Muscat (2%). Tokaj Hétszőlő Dry Furmint is the freshest and most intense in aroma. Following ten days in stainless steel vats and delicate filtration, it benefits from a short span in bottles. Traditional Tokaji wines, such as Fordítás, Szamorodni and Aszú, are first fermented and kept in oak casks before undergoing long-aging in bottles- The casks made of oak from the Zemplén Mountains are produced by coopers in the region. A favaurable climate, unique soil and gropes varieties prone to "nable rot"
A favourable climate, unique soil and grape varieties prone to "noble rot" produce Hétszőlő wines of exceptional harmony and unique complexity, a velvety quality and flavour characteristic of loess soil. The Dry Furmint and Aszú are light in colour. On the nose and palate, aromas of floral freshness, herbs and white fruit are revealed. As they age, their colour turns to amber, and the acidity fades to release aromas of oriental spices, tobacco, dark chocolate and ripe fruit. The finesse and complexity of Hétszőlő wines have enabled the vineyards to come down through the centuries with the elegance and refinement demanded by the finest restaurants and demanding hosts. The historical Rákóczi Cellar belongs to Hétszőlő Winery. lt is situated in the heart of Tokaj town, right next to the church of the main square of the town. ln the course of centuries the celtar, built at the beginnings of the 15th century, was owned by kings, sovereigns, princes and generals. The imposing (28 m long, 10 m wide and 5 m high) knighfs hall is the largest underground hall of this wine region. Today it serves as a place of wine presentations for wine friends and professíonals.